May the Irish Luck be on your side! 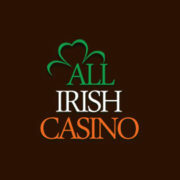 Ireland’s Only Dedicated Irish Online Casino comes to you in the form of the All Irish Casino, which is owned by the same company as that which runs the All British Casino, L&L Europe Ltd. Therefore, you can be sure that the platform is able to offer up an intriguing and appealing location to play your favourite games, with a solid, structured team behind it. It has had its virtual doors open to the gaming public since 2013, and has been steadily increasing in popularity ever since as well. It’s also the owner of three different gambling licences, which are provided by the United Kingdom Gambling Commission, the Malta Gaming Authority and Curaçao eGaming. Therefore, you’ll be placing wagers at a fully regulated online casino when you play there. 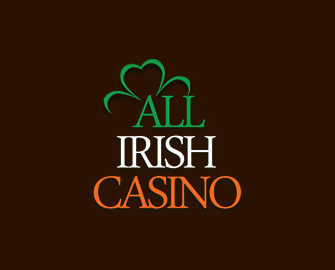 There’s a green, white and orange theme running through the All Irish Casino platform, obviously being based on the Irish flag. Its logo incorporates the shamrock into it, and below this, you’ll find the site’s navigation bar. This will allow you to jump from one section of the site to another with relative ease, while below this you’ll find some products advertised, such as the platform’s ‘Game of the Month’ or the ‘Latest Game’ addition. Recent winners are also displayed on the home page of the website as well, and while everything on its design is fairly generic to the online casino world, the graphics used are of the best quality. Visiting the ‘News and Promotions’ section of the website will allow you to view the various different promotional offers, and when you sign up to play at the casino, you’ll get to claim the welcome bonus which is offered. You’ll need to make a deposit before this becomes available, but on your first deposit you’ll be given a total of 100% on top in bonus funds. 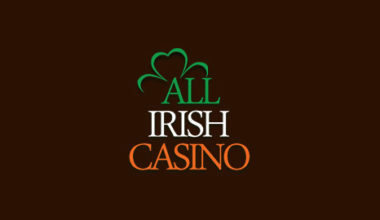 This provides you with a maximum amount of €50, and this is able to be used on the full selection of products available at the All Irish Casino site. Not only that, but as a regular player at the platform, you’ll be able to claim various other special offers as well. These include such things as the 60 freespins, which is sometimes provided on Wednesday’s after you make a deposit of €20 or more, or whenever a new game is launched, the site will offer its players a chance to win some freespins on it. Cashback and reload bonus offers are also available, and these are sometimes sent to you via email, so keep an eye on your inbox for these! The games provided via this site are offered up by NetEnt in the first instance, and it was originally this company who would be the sole supplier to the casino. However, in more recent times, the products of Amatic Industries have been added to the selection. Visiting the games lobby will first of all present you with the most popular offerings, but you can then navigate along to the specific game categories, such as the video slots. These exist in the form of such titles like, ‘Boom Brothers‘, ‘Champion of the Track‘ and ‘Roman Legion’. There’s also some classic slots included alongside, such as ‘Bells on Fire’ and ‘Wild Respin’, and furthermore, some jackpots have been added to the catalogue. Popular titles like ‘Arabian Nights’ and ‘Cosmic Fortune‘ are just two of the options here. Table games make up another decent offering of products, so you’ll have the chance to play variations of baccarat, blackjack, roulette and several other games. There’s also the additions of four different video poker options, including ‘Jacks or Better Multi Hand’. There’s a ‘Lottery’ category added to the lobby as well, although there’s just a single game incorporated into this area. Keno is the only other game provided on the site. We know that, sometimes, online casinos can offer quite minimal payment method options, but this is not the case at this website. Instead, you’ll have the regularly seen options, like the Visa and MasterCard credit and debit products, although if you prefer to use eWallets, then there’s the chance to utilise Skrill or NETeller. You can also use the alternative method of the Paysafecard, while a bank transfer makes up the final accepted method. The two eWallets can be used to make a withdrawal of winnings, as can Visa products and a bank transfer. And, further to this, if you find yourself in need of any help while gaming at this casino, you can read through a comprehensive FAQ section. While this is quite filled with answers to the most regularly asked queries, if you’re unable to find the support you need from this, you can contact the customer service team, and this is done firstly via the live chat option. Alternatively, you can send an email along by filling out the contact form provided. For the moment, there isn’t any telephone support available. It’s safe to say that if you’re Irish and you’re looking for a somewhat patriotic platform to game on, then this is certainly the one to go for. However, players from other countries are also welcomed, and you’re sure to have a great time spinning through slots or playing a few card hands, for example, thanks to the high quality games, great promotions that are available, and the nice range of payment methods.